Apparently not news worthy enough? 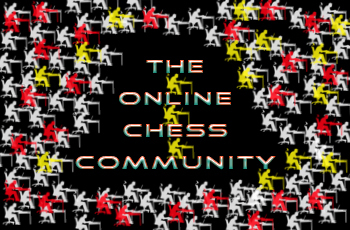 The online global chess community. How big is it? Depending on who you speak to and what self serving spin they try to bait you with, it can range between 3 million (ChessCom) or 600 million (Susan Polgar). I have been trying to figure the truth out about this for years now – using YouTube numbers, for example – and I estimate that the number is really a LOT smaller…somewhere between 100,000 and 120,000. That is not very substantial. Infact, it is not even marketable. Most pop stars can fart and put it on YouTube and easily pull in 10 million views on the first day. Of course, this is an exaggeration and the number I pulled from a hat: but Lady Gaga farting on YouTube would certainly go viral. Returning to the subject under discussion, that is not to say that the online chess community is really the number that I quoted above – for all I know it could be much bigger – but one thing is sure: the online chess community does not support the online chess community! 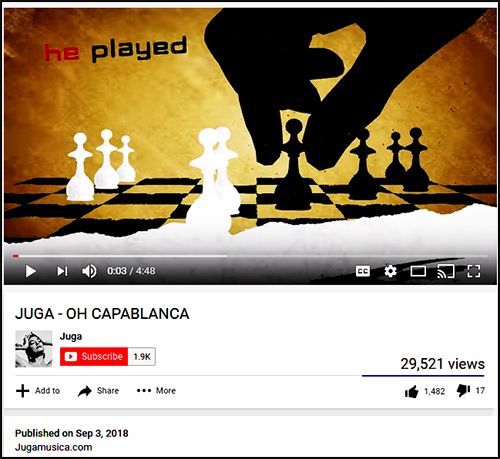 Case in point if Juga’s amazing song Oh Capablanca that appeared recently, on September 3rd to be more precise. Stylish, smart, beautifully edited, seductive and everything a chess video could aspire to be…but after a bit more than 2 weeks now it has only captured 29,501 views. But how to explain why Juga’s video has not gone viral? Or atleast, has not got the global response that it deserves? Could it be because the online chess community is NOT nearly as big as some say it is. 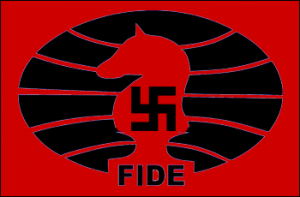 Could it be because the online chess community – however big we may pretend it to be – does not support the online chess community? Maybe both. Maybe we are missing something? Why did so few amongst those who saw the mention of Juga’s song show so little interest in even hearing Juga’s song for even a few seconds? Maybe the online chess community is really a selfish community with an average rating of 500, many of whom have never heard of Capablanca, castling or en passant. Or just don’t care about anything other than trying to win the next game against an equally weak and uninterested chess adversary. 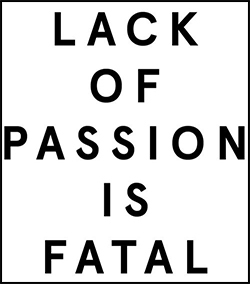 Could it be that what I am referring to as the online chess community – that group of chess players who follow the big tournaments taking place – has a distorted sense of self-importance and is a miserably small community? 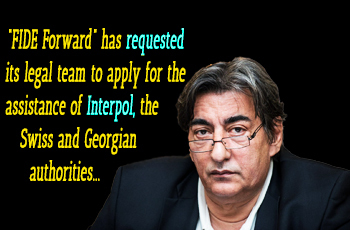 Returning to the above topic but taking up where I started with Makropoulos’ incredibly sinister attempt last week at derailing the 2018 FIDE presidential elections, trying to paint Russian Arkady Dvorkovich as a ruthless – yet sophisticated – criminal and calling upon Interpol and other European law enforcement authorities to do everything they can to stop him…all the while pressuring the FIDE Ethics Committee to disqualify him from the October 3rd vote! 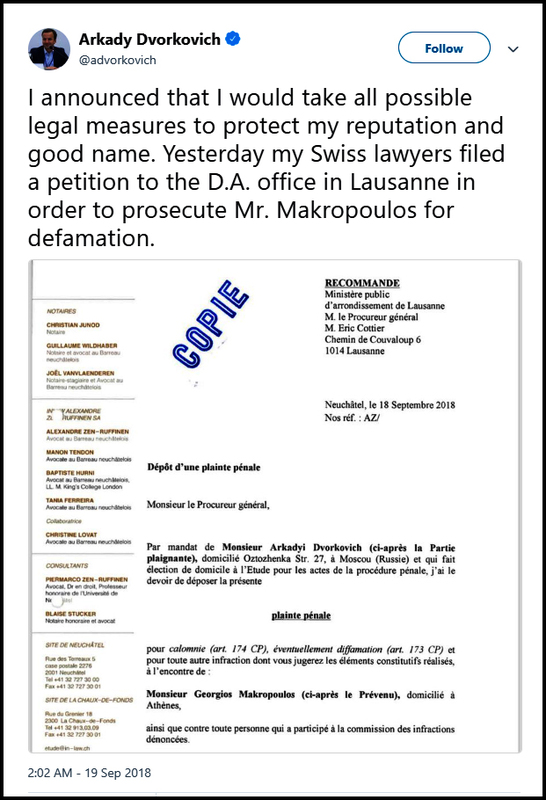 What was the reaction of the online chess community to Makro’s attempted coup d’état? One could naturally excuse oneself for anticipating a very vocal outrage, but nothing of the sort happened! Instead, virtual SILENCE from the chess community’s journalists and website news sources. Six days on, with the exception of a sheepish article by Peter Doggers and several en passant mentions in weekly chess columns, no chess journalist has even mentioned the incident! Why? As mentioned last week, a good number of the better known chess journalists will be trekking to Batumi to attend the Olympiad and probably don’t want to risk being singled out for supporting one candidate or the other. But shouldn’t anyone worthy enough of being called a journalist be more interested in reporting the single most important development in the 2018 FIDE Election? I would think so. And I would also expect that the vast majority of sane and rational human beings out there would have expected a bit more backbone than has been shown. 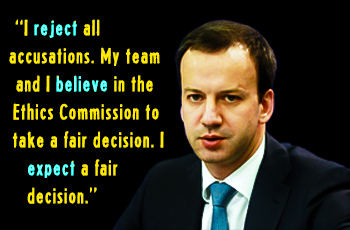 One more insight revealed about how our online chess community just does not cut the mustard.